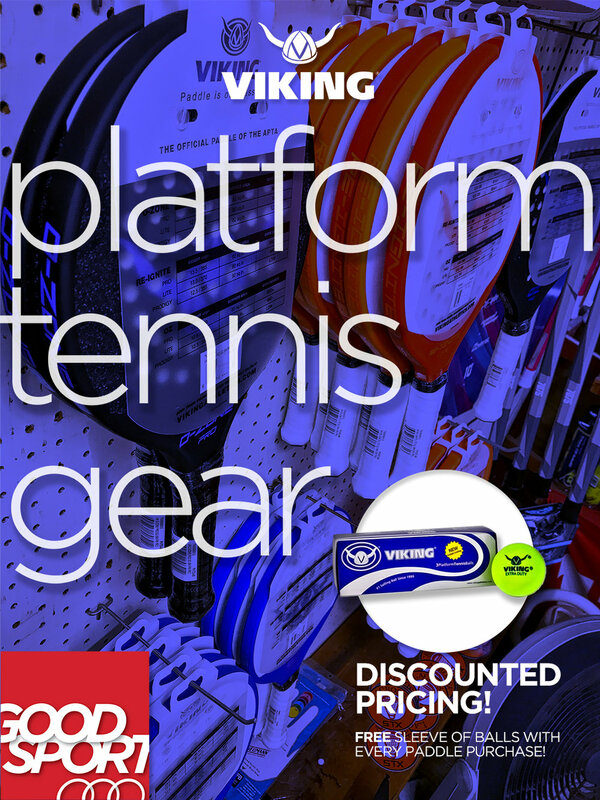 Discounted Platform Tennis Gear Here! — welcome to the Good Sport! Discounted Platform Tennis Gear Here! As winter approaches we are beginning to hear more and more discussion regarding Platform Tennis (aka Paddle Tennis). Locally, Platform Tennis courts seem to be popping up everywhere as the traditional outdoor winter sport makes significant gains in popularity. For those preferring an indoor playing surface, those are also available. As your favorite local sporting goods retailer, we wish to remind those interested in Paddle Tennis that we have a readily available collection of gear waiting for you! In addition to this convenience, our products are priced to beat our online competitors. Our top of the line Viking paddles are aggressively discounted, and each paddle purchase includes a free sleeve of Extra Duty Viking Platform Tennis Balls. If you are interested in learning more about the game before making a commitment, please stop by the store and we will be happy to answer any questions and discuss possible equipment options.